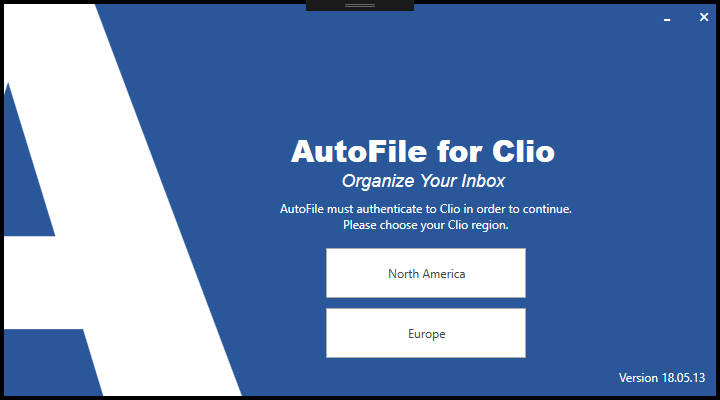 AutoFile for Outlook organizes your inbox and preserves all communications to Clio. Message de-duplication so the same email doesn't get saved multiple times. Preserve all mail headers in a forensically verifiable format. Simply visit http://www.AutoFile.Pro/free-trial to download a trial. You've successfully linked AutoFile to your Clio account. You're ready to start filing emails! 1. Send a new email. 4. 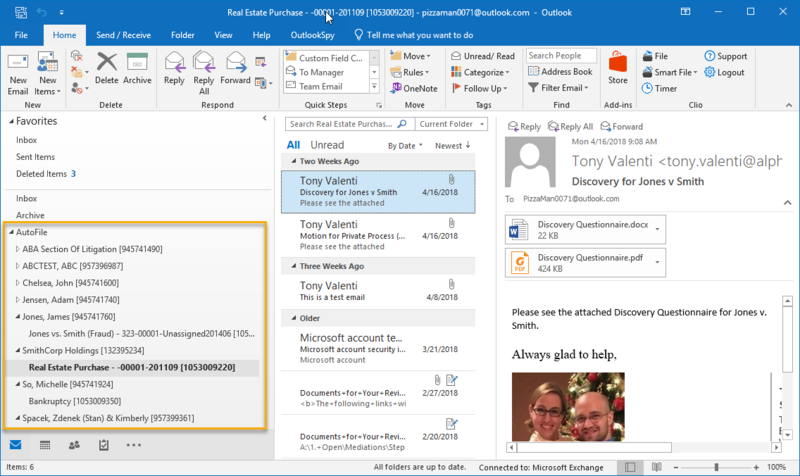 Drag an email from Outlook onto the "Preserve Email" button. Once one of these happens, a dialog like the following will appear. Once you're here, there are a few things you can do. First, if you want to, you can rename any items that are being filed by simply clicking on their entry in the grid. Next, you need to associate the email to a matter. You can scroll through the entire listing, or you can just do a text search to quickly filter. Once you have the matter selected, click "Save+Close". Once you do that, a few things are going to happen. 1. 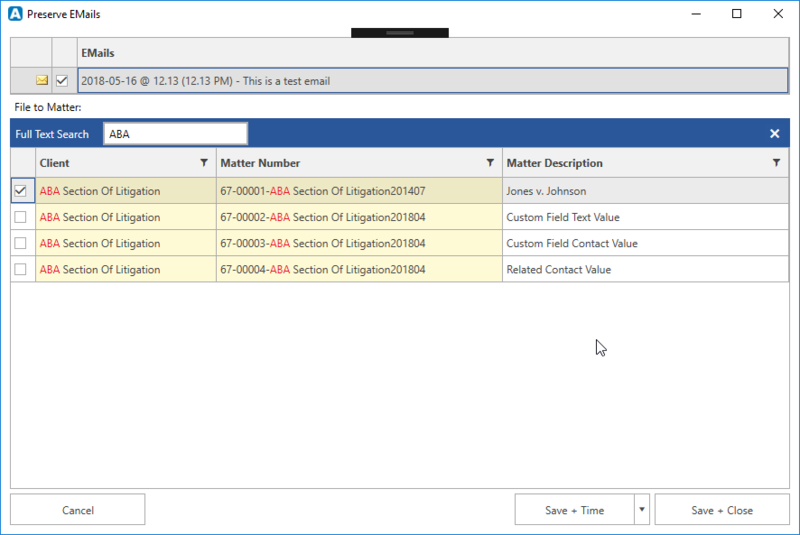 The email body will be saved to Clio's "Communications" Tab. 2. 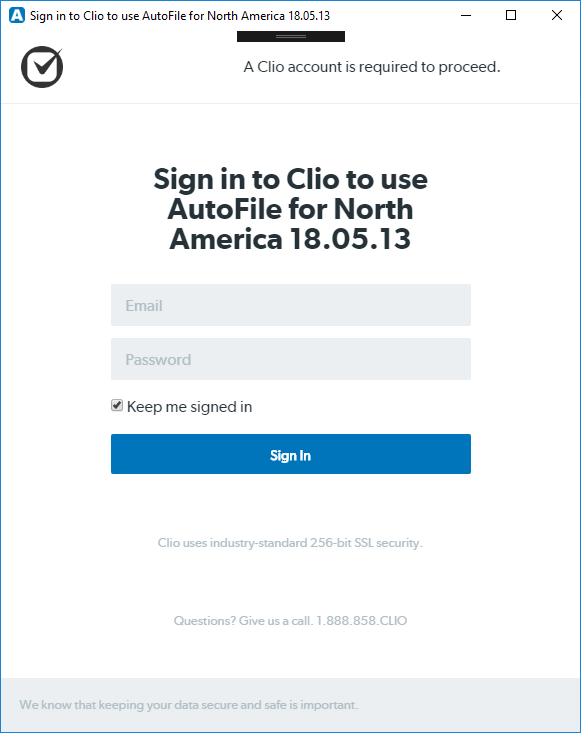 The actual email file (MSG File) will be saved to Clio's "Documents" Tab. 3. 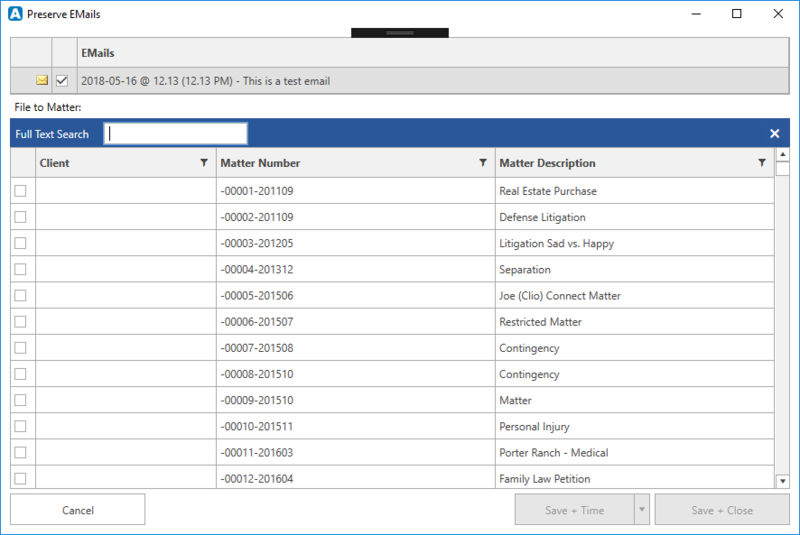 Any attachments within the email will be saved to Clio's "Documents" Tab. Access AutoFile support or contact an AutoFile support agent here.